move a little to the morning horizons. The night will not miss a minute or two. it does not have to be much. somehow still soft and kind). in my prayers each night. teach me how to exist in the world. I take a piece of everyone with me. A sunken bottle, replace water with sand. a segment of your being brought into mine. those things were better left to others anyway. what you left for the taking. Sam Gray is currently an undergraduate student at Seton Hill University where he has previously been published in Eye Contact. 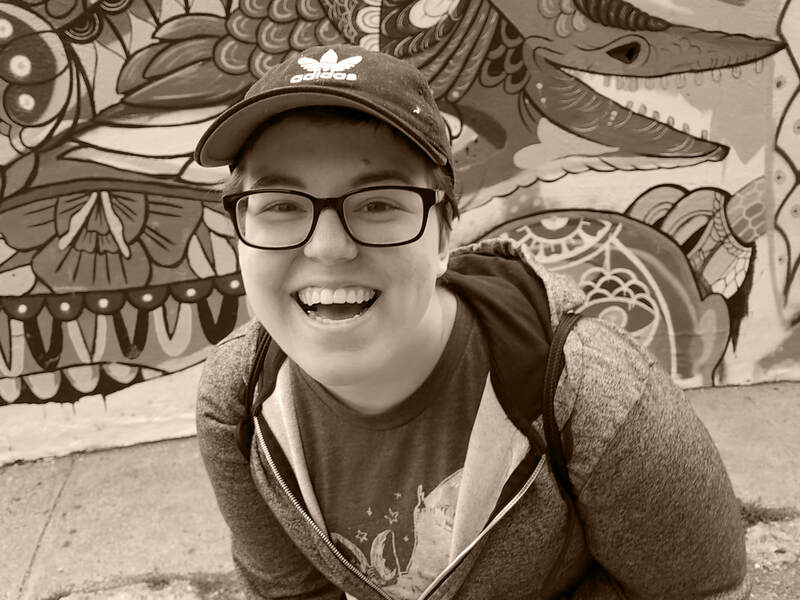 Sam identifies as a queer nonbinary transmasculine person. While he feels storytelling to be his calling, he hopes to breathe the reality of the queer experience into the world through his poetry and stories.